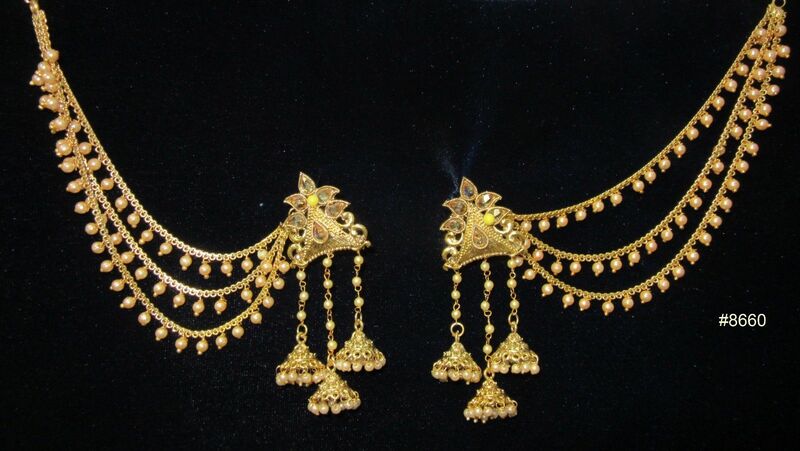 This item in Earrings & Jhumkas category was first added to our catalog on 01-19-2019. 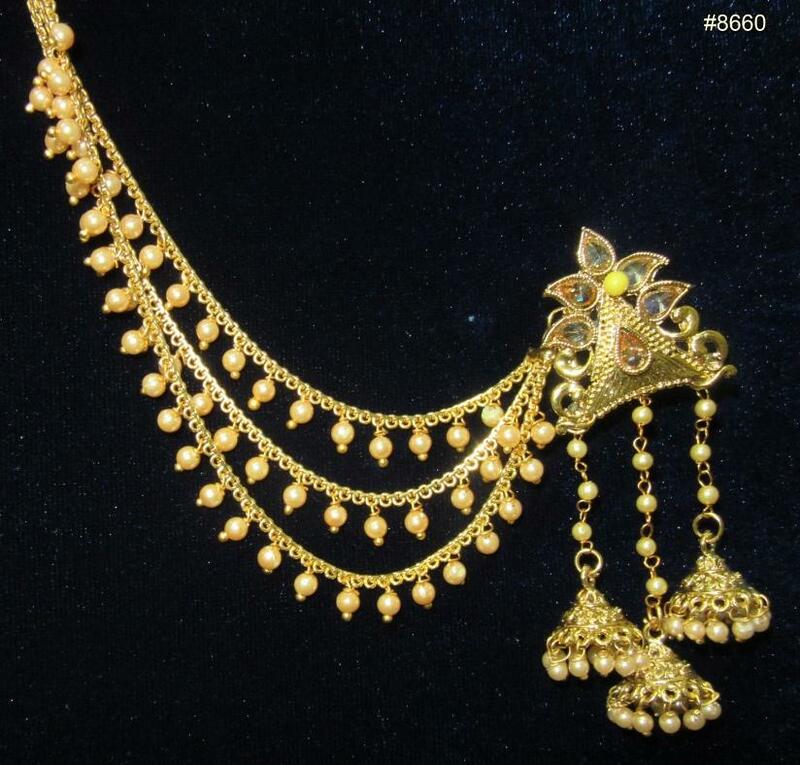 Buy Gold Tone Stringed Pearls 3 Hangings 3 Jhumkis Earrings, sold & shipped by Shieno Boutique where you can shop online for Latest Sarees, Salwar Kameez, Shawls, Jewelry & Clutches. This Earrings collection has been tagged as jhumka with chain, traditional design, costume fashion jewelry.